One hundred years ago, you were most likely to die from pneumonia. That’s if tuberculosis or diarrhea didn’t finish you off, according to the CDC’s leading causes of death in 1900. Thanks to Scottish scientist Alexander Fleming and the production of antibiotics and vaccines, most cases of pneumonia and other infectious diseases are no longer life-threatening situations. Fast forward to early 2019, and six of the ten leading causes of death are chronic diseases. Heart disease is currently number one, but it could soon be edged out by one of the most fear-inducing six-letter words in the English language: cancer. February 4th marks the 19th annual World Cancer Day. International groups first created the observance in 2000 at the World Summit Against Cancer for the New Millennium in Paris, hoping to increase research and awareness surrounding the disease. 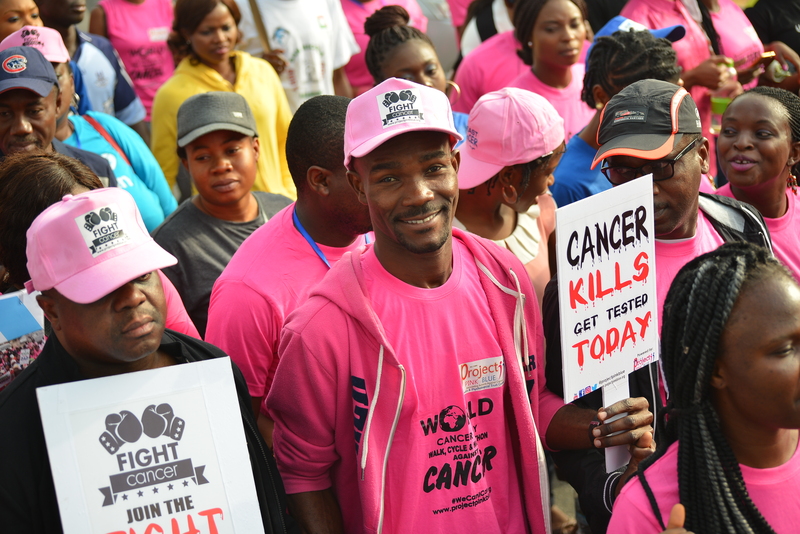 However, while World Cancer Day is quite young, the disease itself existed long before the turn of the new millennium. In fact, cancer has probably been around since about 3000 B.C., as revealed by the recovery of human remains and writings from ancient Egypt. The Edwin Smith Papyrus, one of the best-known writings of the period, actually describes performing surgery on breast cancer patients. Hippocrates holds the claim to naming the disease “karkinos” sometime around 400 B.C. His reasoning behind the word “karkinos” – which means “crab” in Greek – is still unknown. In an NPR podcast, medical historian Dr. Howard Markel poses three different hypotheses for this naming. Perhaps it was because Hippocrates thought that the hard, malignant tumors in his patients resembled crab’s shells, or maybe it was because the tumors produced a sharp pain, not unlike a crab’s pinch. It was even possible that he thought the tumors had a pincerlike grip on human flesh – making them very difficult for him to remove. Regardless of Hippocrates’ reason, the name stuck. Sometime before 50 A.D., a Roman physician named Celsus translated “karkinos” into the Latin “cancer” we know today. Considering cancer’s lengthy lifespan, it may seem puzzling that a disease humans knew and named centuries ago continues to have such a fear-inducing reputation in the modern era. A large part of that has to do with our struggle to treat and cure the disease. In ancient times, doctors treated cancer by cutting it out. They didn’t know much about the disease, but they knew that if they didn’t remove tumors there was chance the growths could spread further in the body. For a long time, medical leaders explained cancer using Hippocrates’s hypothesis that all diseases were caused by an imbalance in four of the body’s humors: blood, phlegm, yellow bile, and black bile. In Hippocrates’s opinion, a build-up of black bile led to cancer. However, by the 16th century, anatomists and doctors concluded that black bile did not exist. Scientists began proposing other causes of the disease, from environmental exposures to infectious bacteria. By the end of the 19th century, doctors discovered that hormones affected the growth and spread of breast and prostate cancers. Instead of just removing tumors, they removed entire organs – ovaries and testicles – to halt the disease. (Today, there are drugs that can reduce the hormones’ effect without requiring surgery). Other therapies sought to kill cancer cells without cutting anything out from the body. Around the same time that doctors began removing ovaries and testicles to treat breast and prostate cancer, scientists made serious headway exploring radiation. Radiation could not only diagnose where cancers were growing through scans, high doses could also destroy the unwanted cancer cells. However, by the 20th century, such therapies became less popular when doctors discovered that radiation could actually cause cancer itself. Scientists responded by creating new therapies that only radiated certain areas of the body to reduce the negative consequences. A fourth type of therapy came after WWII and the discovery that mustard gas could alter the DNA of bone marrow cells. Doctors decided to experiment and see if chemicals like the compounds in mustard gas could wreak the same havoc on potentially deadly cancer cells. Chemotherapy emerged, treating even cancers that had become metastatic, spreading from their original location to other parts of the body. More modern therapies stray further from the cut-or-kill mantra that dominated most cancer treatments throughout history. Targeted therapy blocks cancer growth through several natural pathways that become abnormal during cancer progression, while immunotherapy focuses on strengthening patients’ immune systems to control the disease. The progression of treatments follows knowledge behind what cancer is and how it spreads. We’ve gone from ancient explanations of the disease – an overproduction of bile – to modern answers – like hormones and exposures to chemicals that alter cells’ DNA. But, despite more than 5000 years of diagnosing and treating the disease, it still is about to become the number one killer in America. Why? Part of the answer is that cancer is not really not just one disease, like pneumonia or polio. We define cancer as a disease in which certain cells stop listening to natural growth checks in the body and continue to grow and reproduce without control, beginning to move to other parts of the body in some cases. There are many ways for this to occur – and no one sure method to stop cells’ progress when they start behaving incorrectly. Although cancer continues to be a confusing and upsetting monster, researchers, doctors, and patients are making progress. A recent report from the American Cancer Society shows that cancer deaths overall have dropped about 27 percent. Part of this has to do not only with improving treatments, but also improving prevention. Factors like smoking, alcohol use, and poor health habits are consistently associated with cancer in many studies. By calling attention to these changeable behaviors, as well as social and economic situations that can lead to them, we can add another weapon to our arsenal against this killer. Maybe a hundred years from now, we will look back at the leading causes of death and thank new scientists and health professionals for making cancer a less fearsome, completely treatable disease. Virginia Nowakowski is a full-time MPH student in the generalist concentration. She graduated from Medill in June, and enjoys all things at the intersection of health and communication. “Cancer, We Should Not Forget the Past.” Journal of Cancer. 2015. “Leading Causes of Death 1900-1998.” CDC. “Leading Causes of Death.” CDC. 2017. “Our Story.” World Cancer Day. 2019. “Science Diction: The Origin Of The Word ‘Cancer’.” NPR. 2010. “Evolution of Cancer Treatments.” American Cancer Society. 2019. “Cancer Death Rates on the Decline, 2019 Cancer Stats Report Shows.” Targeted Oncology. 2019. Siegel RL, Miller KD, Jemal A. Cancer statistics, 2019 [published online January 8, 2019]. CA Cancer J Clin. doi: 10.3322/caac.21551.